Fire!!! Could this happen to you? Please watch this news story courtesy of Fox 6 in Milwaukee and then take the actions steps! People can take several steps to protect themselves and their loved ones and increase their chances of surviving a fire. Every household should develop a fire escape plan and practice it several times a year and at different times of the day. Include two ways to get out of every room and consider escape ladders for sleeping areas or homes on the second floor or above. Pick a place outside for everyone to meet and make sure everyone knows where it is. Practice that home fire drill until everyone in the household can do it in less than two minutes. 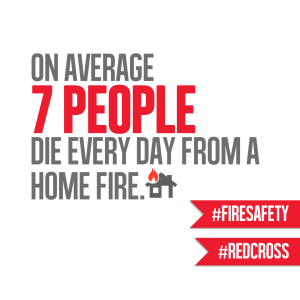 Install smoke alarms on every level of the home, inside bedrooms and outside sleeping areas. Test them every month and replace the batteries at least once a year. 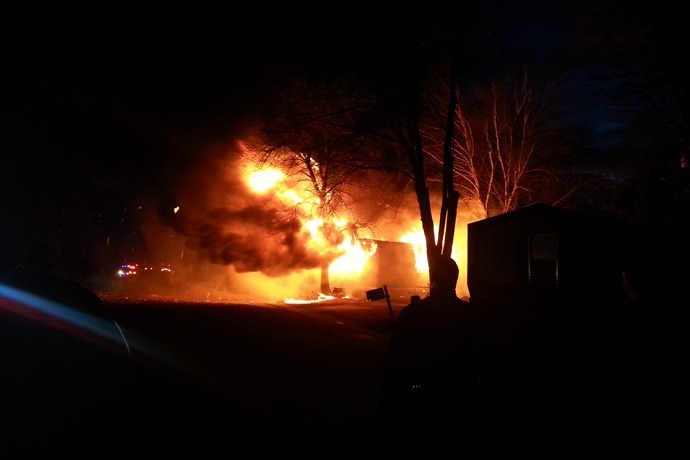 Fire experts agree that people may have as little as two minutes to escape a burning home before it’s too late to get out. More than forty percent (42 percent) of Americans feel confident they can escape their burning home in two minutes. Most parents (69 percent) believe their children would know what to do or how to escape with little help. The problem with these assumptions is that less than half of parents (48 percent) with children ages 3-17 have talked to their families about fire safety. Only a third (30 percent) of families with children have identified a safe place to meet outside the home. Less than one in five families with children (18 percent) have actually practiced home fire drills. January is National Blood Donor Month and this year, American Red Cross supporters have a new way to help save lives through blood and platelet donation with the Sleeves Up virtual blood drive. SleevesUp is a first-of-its-kind website that lets you create a virtual blood drive and encourage colleagues, friends and family members to give blood or platelets, or make a financial donation – no matter where they are located across the country. Create an account at org/SleevesUp or log in with an existing Facebook or Twitter account. Personalize the campaign with video, pictures or your personal story. Set a goal and timeframe for the campaign. Invite others to join the campaign via email or social media networks, like Facebook, Twitter and LinkedIn. National Blood Donor Month has been observed in January since 1970 and recognizes the importance of giving blood and platelets while honoring those who roll up a sleeve to help patients in need. The winter months can be especially difficult to collect enough blood and platelets to meet patient needs. Inclement weather can result in blood drive cancellations, and seasonal illnesses, like the flu, can prevent some donors from making or keeping appointments to give. Blood donors with all blood types, particularly O negative, A negative and B negative, and platelet donors are needed to ensure blood is available for patients. 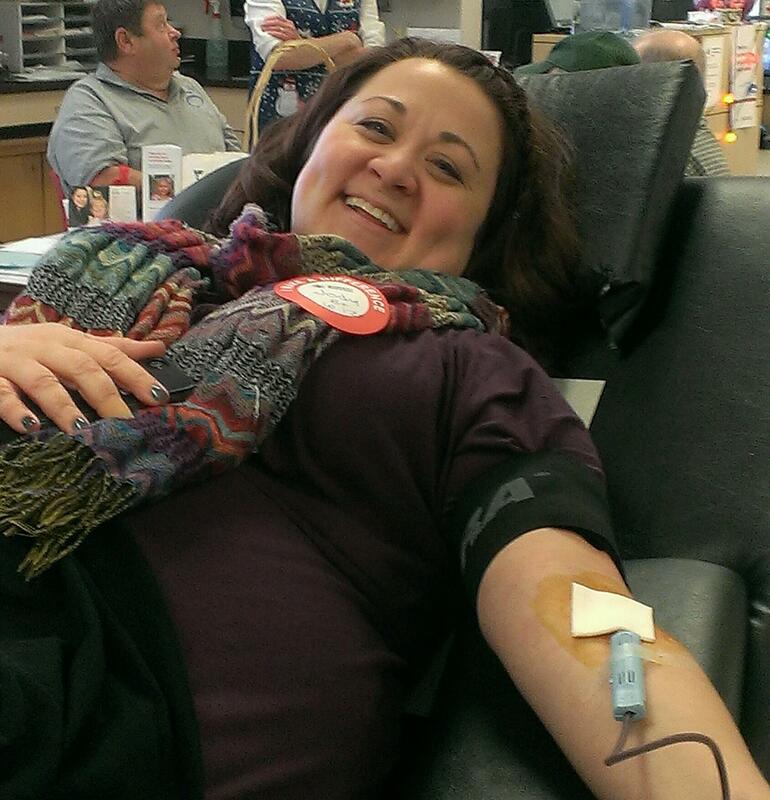 If you haven’t made a donation appointment yet for 2015, do it now at redcrossblood.org. Then, check out SleevesUp and invite others to join you making a lifesaving donation. PACKERS FANS!!! We Need You to Rock the VOTE! Vote for the NFL’s top air and ground performers! One top passing performance can make a huge difference. So can one top rushing performance. Cast your vote now for the FedEx Air & Ground® NFL Players of the Year. FedEx will also make a $25,000 donation in each winning player’s name to American Red Cross chapters in their teams’ cities. The funding is used to support disaster relief and a variety of urgent humanitarian needs of the American Red Cross.FedEx will announce the 2014 FedEx Air & Ground NFL Players of the Year winners at the “4th Annual NFL Honors” awards show in Arizona, a two-hour primetime special to air nationally on Jan. 31 on NBC the night before Super Bowl XLIX. Rodgers finished the season with a 112.2 passer rating and is the only player in NFL history to register a 100-plus rating in six consecutive seasons. 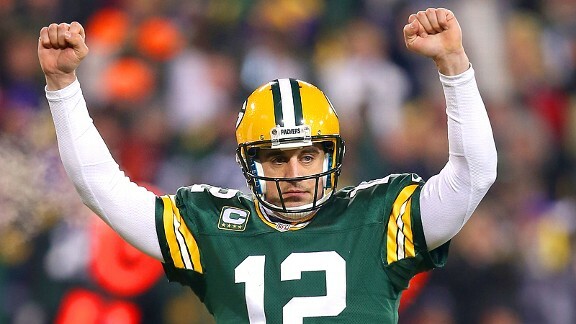 Rodgers finished the season with 38 touchdown passes. He ended the season with zero interceptions at home, where the Packers averaged 39.8 points per game. Rogers was nominated for FedEx Air Player of the Week five times, winning twice. 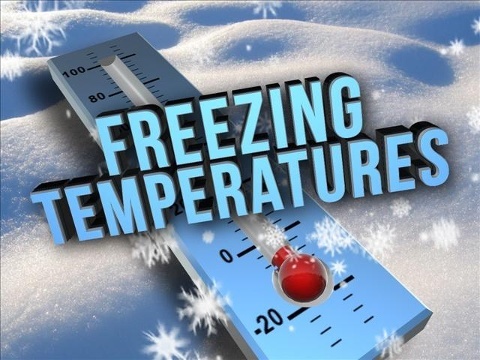 As temperatures drop this winter, the American Red Cross offers ten steps people can take to stay safe during the cold weather.